In 2002, at the age of 18, I visited Walt Disney World for the first time. My sister was 15, and waiting until this point in our lives to make the trek to Orlando was a supremely wise decision on my parents’ part, as it removed a lot of the stress that accompanies visiting the home of the world’s most famous mouse. No screaming children begging to go on every ride; no crying at not being able to decide what to do next (well, almost no crying); this was to be a fun and pretty smooth vacation. Today, 13 years later, Walt Disney World has just finished a billion-dollar, half-decade process of innovation and invention which has radically redefined what it means to experience the Most Magical Place on Earth. With the introduction of the MagicBand, a new user electronic wristband that augments visits through the park, Disney has not just manufactured a new piece of technology, they have manufactured a new philosophy. Instead of telling your kid that you’ll try to meet Elsa or ride It’s a Small World… you get to be the hero, promising a ride or a meet-and-greet up front. Then you can be freer to experience the park more broadly. You’re freed to take advantage of more rides. There is an elegant business logic here. By getting people exploring beyond the park’s top attractions, overall use of the park goes up. People spend less time in line. They’re doing more, which means they’re spending more and remembering more. Unless you are particularly fickle, the ability to make choices is usually thought of as a pretty good thing. So Disney’s philosophical reduction of choice might seem somewhat counterintuitive. But in doing so, they have created new and richer opportunities to experience the depth of Disney World. Judaism should be doing the same thing. For those invested in bringing people into the wonderful world of Jewish thought, ritual, and community, we should avoid the temptation to present an overwhelming kingdom of choices. We should instead work to reduce the barriers to having more meaningful experiences (excessive choice being a prime example). There’s a cognitive science to this – something Disney has embraced and turned into practice. Remove choice (with careful intention), and you actually increase depth of experience. Akin to what Disney has done, we can get people to explore Judaism beyond the top attractions (the High Holidays), we can have people spending less time in parking lots (literally), and more time doing; more time remembering. The centrality of autonomy, choice, and agency are often espoused as the defining hallmarks of Reform Judaism. While at one point in recent history, there were a number of other characteristics that defined Reform Judaism as absolutely distinct from other Jewish religious movements (gender egalitarianism, use of musical instruments, patrilineality, welcoming of different sexual orientations), these distinctions have largely blurred amongst contemporary liberal/progressive Jewish philosophies. What remains is an almost rigid insistence on the place of choice in the life of Reform Jews as the essential religious component of being a Reform Jew. But do other Jews not also have the capacity for choice? Of course! What is distinct about Reform Judaism it is not the simple idea of choice in determining one’s religious practices (which every human being is entitled to, even according to the most stringent Jewish teachings), but the theological belief that God does not command us to do anything. Instead, in Reform Judaism, human autonomy is raised up as the most significant factor in defining one’s religious practices. The ancient command “Tzedek, Tzedek Tirdof! Justice, justice shall you seek!” constantly reverberates in our ears. It has become deeply embedded in the Reform Jewish psyche. Appearing on the Union for Reform Judaism’s website (bold emphasis my own), this is an example of how commandedness is often evoked, when attached to issues of social justice. Yet a similar understanding of commandedness has not become deeply embedded the Reform Jewish psyche when it comes to matters of study, worship, or ritual practice. It seems that commandedness only applies to things which a liberal-minded person was already predisposed to do. This raises all sorts of theological quandaries. When Reform Jews recite blessings to God, uttering the words “asher kidshanu b’mitzvotav, v’tzivanu…” (who has sanctified us with His commandments, commanding us to…), do they actually believe, for example, that God commands the study of Torah, or the wearing of tzitzit? If so, does that not cause cognitive dissonance with identifying as a Reform Jew? If not, is that not theologically disingenuous? I don’t believe that most of the million or so people who call themselves Reform Jews are troubled by this, as I don’t believe most actually think that much about the theological implications of choice and commandedness. I think that if and when most Reform Jews speak of choice, what they are really talking about is a sense of free will (which is easy to understand), rather than a sense of theological autonomy (which is much more difficult to grasp). In this case, free will simply describes the human condition and our cognitive ability to make choices (which every Jew has). Autonomy, on the other hand, is the capacity of an individual to make an un-coerced decision. Un-coerced, here, meaning un-coerced by none other than God. How audacious! It is unfortunate that the language of coercion is negative, but it is still apt. Put in a more positive light, I would make the case that a Jew who makes a religious choice out of a sense of obligation to God most certainly acts from a place of free will, but views their choices as defined by and in relationship to something larger than themselves. This is not autonomous choice. But this, too, is a very human idea! When a parent makes choices for their family, they do not do so absent a sense of responsibility and obligation to their family members. Would a parent ever describe the loving care of their children as autonomous? We can see ourselves in relationship with God in the same way – able to make choices freely, but not absent an understanding of wider implications. That sense of “so much more that follows” is what comes with the obligations of relationship. And that is what is so often missing from Reform Jewish thought and practice. The language of obligation that often accompanies ideas of social justice and tikkun olam is nice, but unless you believe that God commands it, there is nothing explicitly Jewish about saying that we are obligated to protect the planet earth. On the other hand, there is something explicitly Jewish about saying that we are obligated to wear tzitzit and tefillin. Of course, neither of these senses of obligation are mutually exclusive, which is precisely why both appear together throughout Jewish thought. Together being the operative word – we can maintain a commitment to the prophetic ideals of human responsibility to one another without casting away our obligation to God’s commandments. Indeed, both inform one another. There is no reason why Prophet and Priest cannot walk hand-in-hand. A disproportionate emphasis on personal choice has ‘dumbed down’ our movement. While sometimes marketed as ‘informed choice,’ this rarely has meant more than learning a snippet of a classic text about a particular issue rather than the kind of immersion and wholesale commitment that ongoing learning requires. While autonomy was once a compelling and revolutionary vision of what Judaism could be for people, it was bolstered by the simultaneous avant-garde social changes within Judaism that Reform was precipitating. But those social changes are now mostly widely-accepted social mores, so what we’re left with is a rather empty notion of free will. This is hardly revolutionary and hardly compelling. This has also led to an enormous gap between the stated religious philosophies of the Reform Movement, and the common practices of the laity. As I’ve recently written, this presents some fairly significant challenges to maintaining personal and communal integrity. Personal choice may sound as though it is predicated on a high level of knowledge to be able to make such decisions. But the impetus for learning is greatest when one feels claimed by what one studies, and when there is a degree of engagement that joins the hand with the heart. 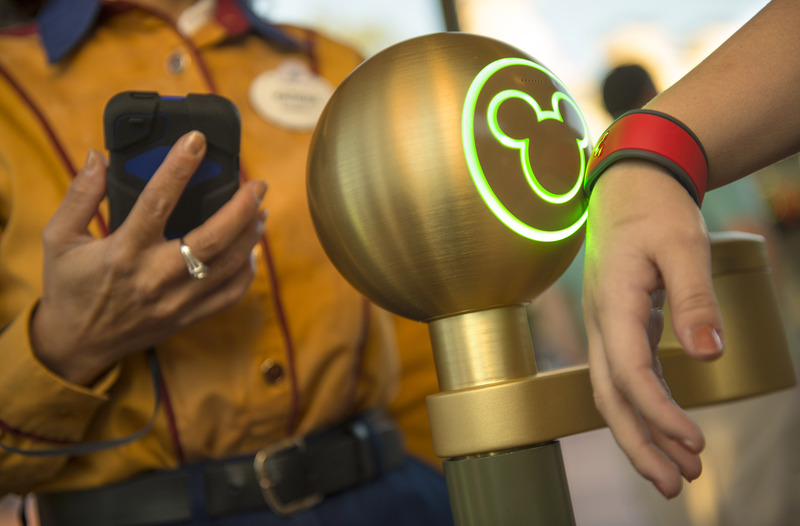 A visitor to Disney World can now wear a MagicBand around their hand, carrying that impetus directly on their body. Of course, free will still exists for the Disney World guest, and they are enabled (indeed, empowered) to make suitable choices according to their interests. But with the overwhelming sense of choice toned down, guests are having richer experiences, exploring more beyond the top-hits, spending less time in lines, doing more, and remembering more. And Disney has the data to prove it.